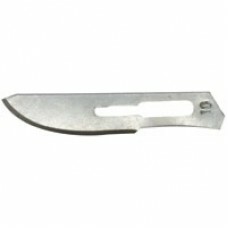 Stainless steel surgical #10 scalpel blade, for use with the Boston Aqua Farms Soft Coral Scalpel. 5 Blades per pack. For best results always use a sharp blade when cutting soft corals. A sharp blade will minimize unwanted damage and ensure coral health.